Interactive b2b conference, exhibition, and concert dedicated to creating an influential solar trading platform in Texas. Over 250 participants expected at SBF Austin 2016. The Solar Business Festival is a highly interactive b2b conference, exhibition, and concert dedicated to creating an influential solar trading platform in Texas. It is a fantastic two-day annual event which provides an excellent industry platform for manufacturers, suppliers, distributors, service providers and partners in the Texas solar industry. The event brings together Texas-based solar companies to connect directly with attendees who are eager to explore solar solutions for sustainable living, as well as to interact, connect and forge partnerships in the renewable energy industry. The event showcases cutting-edge technologies and provide an unrivalled opportunity for attendees to see, hear, and experience the next wave of solar innovations. 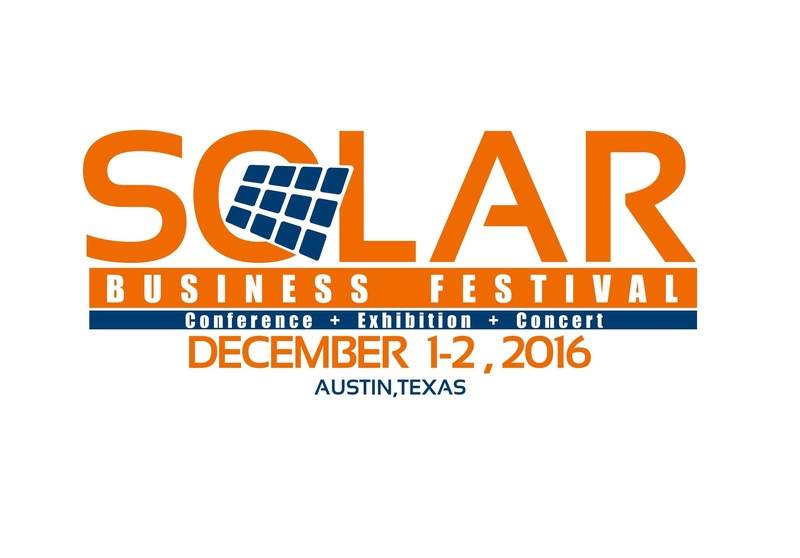 The Solar Business Festival 2016 will be held in Austin, Texas from December 1st to 2nd 2016 at Hilton Austin Hotel. SBF Austin 2016 is designed to promote and advance the renewable energy industry in Texas focusing on solar. SBF 2016 is projected to host over 100 Texas-based solar companies and 250 visitors all of which have vested interests in actively growing the solar market in Texas. Themed under “Connecting the Texas Solar Industry”, SBF Austin 2016 will enable solar businesses to forge new connections and find new customers. The SBF 2016 agenda will focus on innovation, development in solar technology, industry showcase, and collaborations. SBF is organized by Global Attain Advancement LLC, an investment and trade event’s organizers that formulate a portfolio of high-level business-to-business (B2B) and business to government (B2G) summits, forums, meetings, exhibitions and exploratory trade missions. Global Attain Advancement is a participating company of United Nations Global Compact, and a Member of PACENation (Property Assessed Clean Energy). SBF has been organized to play a role in the fight against climate change by promoting renewable energy in Texas that supports the United Nations 7th Sustainable Development Goal (SDG7) "to ensure access to affordable, reliable, sustainable and modern energy for all", and to support the UN Global Compact’s Principle on Environment. SBF Austin is held under the endorsement of United Nations Global Compact.